Bishop E. Bernard Jordan has been the founder and Senior Pastor of Zoe Ministries since 1983. Zoe Ministries started its journey to becoming a world renown ministry in Westfield, New Jersey with 60 people in attendance. Zoe began as thriving prophetic church with a vision to impact the world with the gospel, the ministry continued to develop it unique structure under Bishop Jordan’s leadership which marked it as a church in pursuit of destiny; called to fulfill the will of the Lord. Fortified with a vision of a church resplendent in a glory greater than of Solomon’s Temple, Bishop Jordan has been building a ministry of restoration that would accurately reflect the Biblical pattern, tearing down the constraints of traditionalism and exposing the lies that have led the church into captivity. Zoe Ministries has touched thousands, and continues to do so both nationally and internationally with the voice of the prophetic. Distinguished primarily for his prophetic ministry and revelatory teaching, Bishop Jordan established the School of the Prophets in 1985. The School is specifically geared towards those who are called to function in prophetic ministry, yet is an invaluable source of ministerial ethics that are applicable to any office of ministry. He is also renowned for his uncanny accuracy of the prophecies that he ministers. Businessmen, political officials, celebrities and churches are numbered among the thousands who have sort Bishop Jordan for counsel and direction through the Word of the Lord. 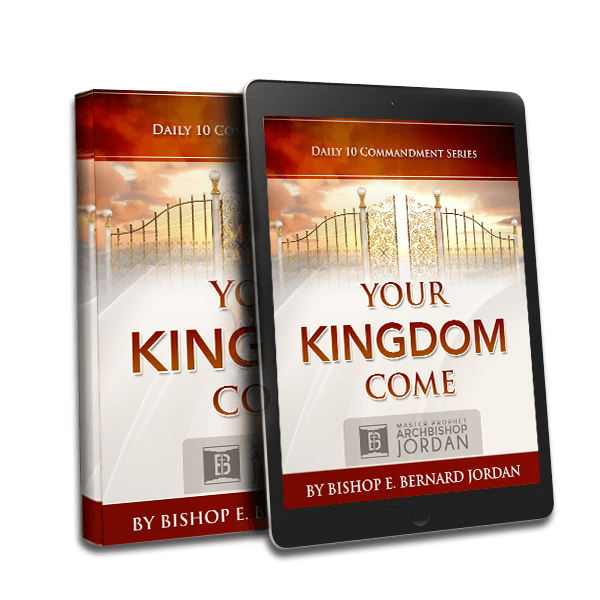 Bishop Jordan teaches biblical principles and ethics that create the foundation and growth for successful living, in both spiritual and day to day life occurrences. His life-changing messages on reformation and liberation have sparked acclaim, as well as controversy, as he teaches the unadulterated Word of God. A liberator in his own right, Bishop Jordan is charged with preparing the church for the New Millennium and stands with the heart of a father, acknowledging that he is but one of hundreds of thousands called by God to prophesy. His teachings have brought vision, stability, and structure to many who were floundering with a gift in manifestation without understanding the order of God. He has traveled to Swaziland, South Africa, and delivered the Word of the Lord to the Queen and the Royal Family. He has prophesied in many nations, including Germany, Canada, Korea and the Caribbean, bringing an astute word of counsel to the leadership and royalty of those countries. In February 1988, Bishop Jordan was invited to address a special assembly of ambassadors and diplomats at the United Nations concerning the oppressive racism in South Africa. He addressed the assembly again in February 1992, and prophesied of the impending liberation of South Africa, which has come to pass. Upon his consecration in 1994 as a cabinet Bishop by His Eminence, Archbishop Roy E. Brown, Bishop Jordan continues to emerge as a leader among leaders, bringing hundreds of pastors into a new awareness of their destiny through motivational teachings and The Word of the Lord. Bishop Jordan is in great demand, for he is quite charismatic and personable. He is often featured on various telecasts, both locally and nationally. Most recently, he has been featured on NBC’s Today Show, FOX 5, Good Day New York, CNN, and many, many others. He was also featured in The Daily News, New York Times, New York Post and Newsday with some of his congregates as well as in an interview in Billboard Magazine on his views concerning social issues. As specified earlier, Bishop Jordan has impacted governmental officials on many levels. He was awarded proclamations of recognition from Governor Mario Cuomo, former Governor of New York, and Mayor David Dinkins, former Mayor of New York, for outstanding leadership and community service for establishing OPERATION: HOPE, designed especially to feed the homeless community in New York. Bishop Jordan has also forged a relationship with the New York State Correction Commission to help develop and guide the lives of young women assigned to Riker’s Island Stepsister Program. He has received numerous awards and proclamations from political officials around the world that are too abundant to mention, for he is widely respected as a man of integrity and well-regarded for his generosity. Bishop Jordan is a modern-day prophet whose ministry is absolutely astounding! Like Nostradamus, Bishop Pike, and Edgar Cayce, the accuracy of the gift of prophecy that operates in Bishop Jordan will astonish you! Bishop Jordan’s accuracy in prophecy has been demonstrated in the prediction of exact names, dates, and times of events both individually and globally! His visual perception is so exact that he is able to give accurate descriptions of locations that are pertinent to the recipient of the prophecy! 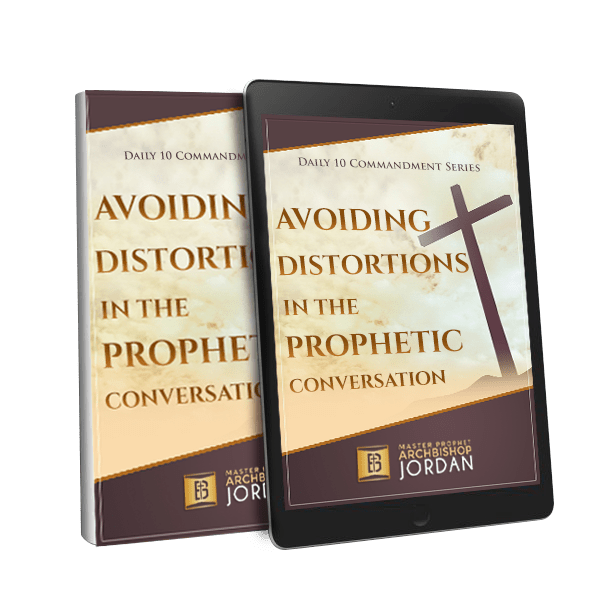 Bishop Jordan differs from those who can operate with extra-sensory perception, for his calling as a prophet bestows upon him a degree of authority. As a prophet, he can truly decree a thing and see it established—just like the prophets of the Scriptures! He is not one just to give information, but he is also known to create miracles and alter events merely by the power of his speech! Bishop Jordan has made available to the public an extensive catalog of CDs and DVDs geared to impart the “Zoe — GOD Kind of Life” Christian philosophy. Thousands of people attribute their success, prosperity, health and happiness directly to the master teachings and prophecy of Bishop E. Bernard Jordan. His vibrant teachings bring the inquiring mind principles of living a life that is bountiful with the attributes of wholeness and abundance sought by many just like you.